It can be hard to believe that something you probably already have in your pantry, such as baking soda, can be an inexpensive means of nourishing, protecting and healing the skin on your face. A simple baking soda face mask can clean your skin, kill a wide variety of potentially destructive pathogens and make you feel a lot better. Baking soda, making your skin smoother, cleaner and fresher, can be an effective and cost-efficient alternative to a lot of expensive health and beauty products. 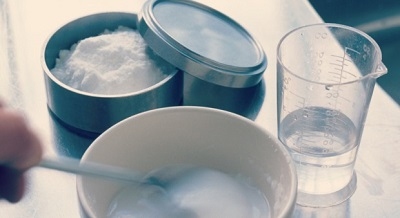 A basic baking soda facial can also help get rid of acne and clear up rashes. The biggest benefit of baking soda face mask is to get rid of acne and other blemishes because it is a natural antibiotic that cures the underlying fungal infections. 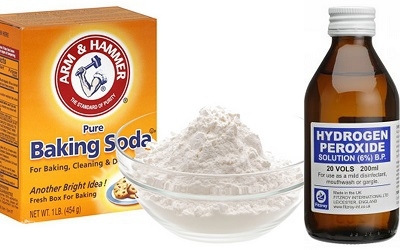 Baking soda can also slowly erase acne scars and speed the healing of acne damage. Baking soda is great solution for blackheads. It helps draw out the infections that cause the blackheads and loosen the tough skin around to makes them easier for you to extract. A baking soda face mask is great for your pores because it has mild antiseptic and anti-inflammatory properties that can ease inflammation, opens your pores and make your skin look better. It also helps aid in absorbing oil to prevent pores from clogging. Baking soda eases the pain from skin toning. Simply mix 1 tablespoon of cool water with 1½ tablespoon of baking powder, smooth over your face and let it sit for 5 to 10 minutes. Then rinse with warm water, pat your face dry with a clean towel and apply an oil-free moisturizer. Mix 1 tablespoon of baking soda with 1 tablespoon of no-pulp orange juice. Wash your face, pat it dry and then rub the mixture onto your skin. Leave the mixture on your face for 20 minutes, rinse clean, pat dry, and moisturize. The Vitamin C in the orange juice will make your skin brighter and the citric acid can make your pores less visible. If you want, you can substitute orange juice with lemon juice or grapefruit juice for a similar effect. Mix 1 tablespoon of baking soda with 1 tablespoon of hydrogen peroxide. Wash your face and dry it gently. Apply the prepared mixture and leave it on your skin for 5 minutes. Rinse your face clean, pat dry and follow up with a moisturizer. However, you should use this mask only if you have acne, pimples or blackheads because hydrogen peroxide is a powerful antiseptic. 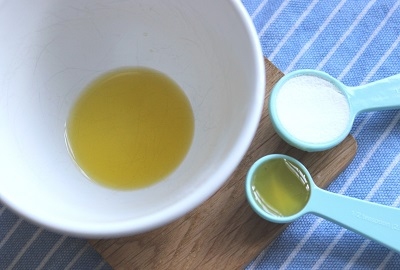 If your skin is oily, you should only use this mask once a week. 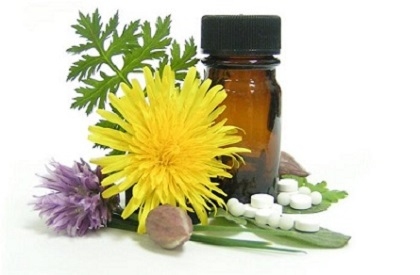 Tea tree oil is a powerful natural antibiotic, and you can find it at many stores or order it online. 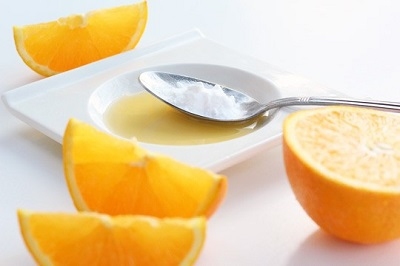 Mix 1/3 cup baking soda, 1 tablespoon of lemon or orange juice, and 2 tablespoons of tea tree oil to create the mask. Wash and pat dry your face. Put the mask on your face and leave it for 10 minutes. Rinse, dry gently and moisturize. This mask works best for oily skin and face with stubborn acne. Never put a mask on a cut, bruise, burn, sore or patch of damaged skin because it can irritate the skin and make the injury worse. Never use a baking soda face mask, if you have sunburn on your face. When you first use baking soda face mask, put a small amount on a small area of your skin and wait for 5 minutes to see if there is any burning, stinging or adverse reactions. Wash the mixture off with cool water immediately, if it burns or stings. If you have leftover baking soda face mask, try applying it to other parts of your body that are oily or prone to acne. Alternating baking soda face masks with vinegar soaks on alternate days can slowly speed up the healing of the damage done by acne. It can also help get rid of the brown pigmentation that acne sometimes leaves. Be careful not to get the mask in your eyes. If you get some in an eye, rinse it out with cold water immediately.